When I explain to my clients that networking correctly is the most effective way to find a great job, about 99 percent of them say they hate networking. Even super skilled, relationship-building-is-my-middle-name salespeople! Good networking involves relationship-developing conversations, not ask-a-stranger-for-a-job transactions. Think of it this way: In an interview, the hiring manager calls you in, runs the meeting, and asks you the questions. Conversely, in a networking meeting or informational interview, you invite the manager, it’s your agenda, and you ask the questions. Most of the time you are either in listening mode or agreeing with comments made by your guest. You are asking specific questions for a specific purpose, you are not talking much, and you are certainly not pitching yourself. Why pitch yourself? You don’t even know if there is a job there yet! Instead, you are interviewing the company to see if they are a good personality fit for you and to see if they are doing interesting work. The real purpose of the networking meeting is for you to qualify the company. If, near the end of the meeting, you feel there is a match, then you can ask if the company has a need for someone who can deliver what you can deliver. Only at that point have you built enough of a relationship for your new contact to feel comfortable being your advocate. If your contact says there is such a need, you can ask if it makes sense to start the process now. If they say no, ask if they could recommend similar companies that may have a need. There is always something to shoot for in these meetings. The outcomes you want are either a lead on a job that no one else knows about yet or a warm introduction to another person in another company. List all the companies you want to work for: Don’t worry about whether or not these companies have open jobs yet. Just identify your target employers. Identify a person you know who works there or a person who knows a person who works there: You can use LinkedIn to look for mutual connections between yourself and a manager at your target company. Outside of LinkedIn, you may want to talk to your friends, neighbors, and fellow members of clubs and community organizations. 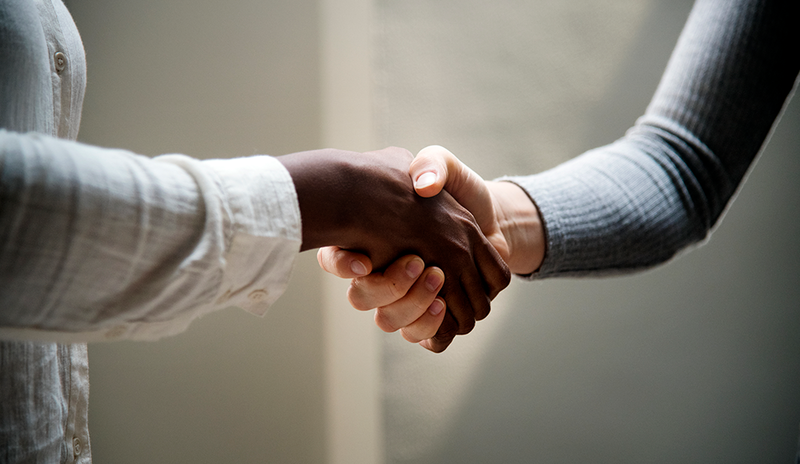 Don’t reach out directly to second-tier connections unless you know them: Instead, contact the mutual first-tier connection in between you two and ask them to reach out on your behalf. Don’t cold call anyone. Reach out through your direct contacts to the person you want to have a meeting with. Tell them you are thinking about your next career step and want to know about the company. Arrange and run an informational meeting: You create the agenda and manage the meeting toward the outcomes you want. This approach works because good managers, especially in a hot market, don’t let talent escape their grasp. They act. Repeat with all the companies on your list: If you have several contacts at a company, contact them all and meet with the first one who responds. After that, you can connect with more senior people at the company. Note that having several active contacts at the company usually increases your chances of getting a job there. Networking is the only door to the hidden job market. You owe it to yourself to include strategic networking as part of your search, even in a hot job market. David Denaro is vice president of Keystone Associates, a division of Keystone Partners. David Denaro is vice president of Keystone Associates, a division of Keystone Partners. Dave joined Keystone Associates in 2008 and is the site lead for the Burlington, MA, and Nashua, NH, offices, where he advises executives, managers, and individual contributors in career transition. Dave has more than 25 years of experience in career advising, staffing, and leadership development, successfully advising career changers and career continuers.